Can’t make it to Thanksgiving or any other Holiday Gathering? Send an eGift Card Anywhere Instantly! 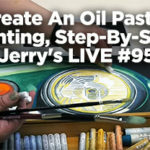 For the artist far away from their loved ones this holiday season, an eGift Card from Jerry’s Artarama might be just the thing to warm up someone’s winter. 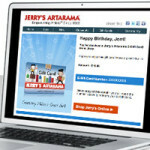 The electronic gift cards travel to your loved ones email address almost instantly and are fully redeemable at Jerrysartarama.com for any purchase. 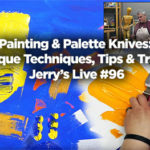 Artists, if anyone, can be very particular about their art products whether it’s their favorite brand of paint, the right sized brush or preferred style of canvas. The thought is there, but they can be choosy. Why not please both of you and buy that choosy artist a thoughtful eGift Card instead. Then, they can instantly pick out whatever they want from a selection of over 10,000 products on Jerrysartarama.com featuring top brand names such as Sennelier, Ampersand, Faber-Castell, LUKAS, SoHo Urban Artist and many more. Which card would you choose for your favorite artist? 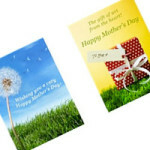 Choose the theme or category for the type of eGift Card you would like to send. Select an image from that category to send with your eGift Card. 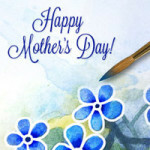 Fill in your personalized message, recipient’s email address and choose the value of the card. Checkout and it’s sent….right to their inbox within minutes! And its as simple as that. One of the most thoughtful gifts you can give someone is art, and the easiest way to do that is with an eGift Card from Jerry’s Artarama. Also, be sure to look out for eGift Card giveaways with certain purchases during our amazing Black Friday Sale!